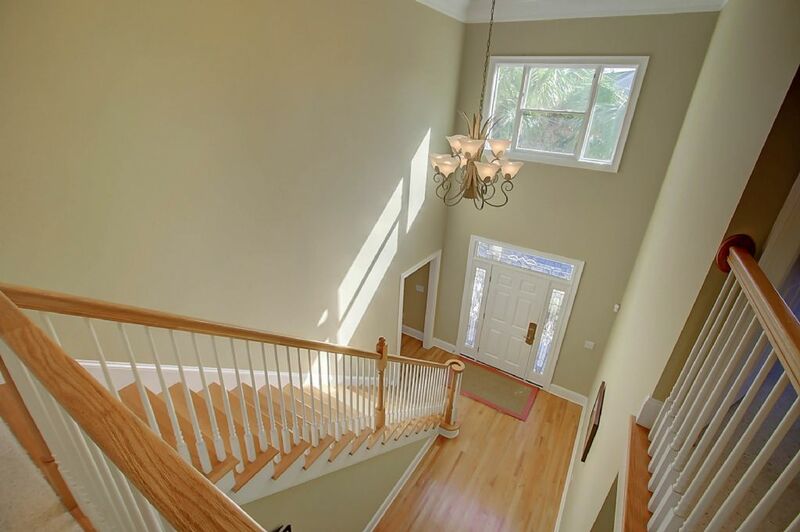 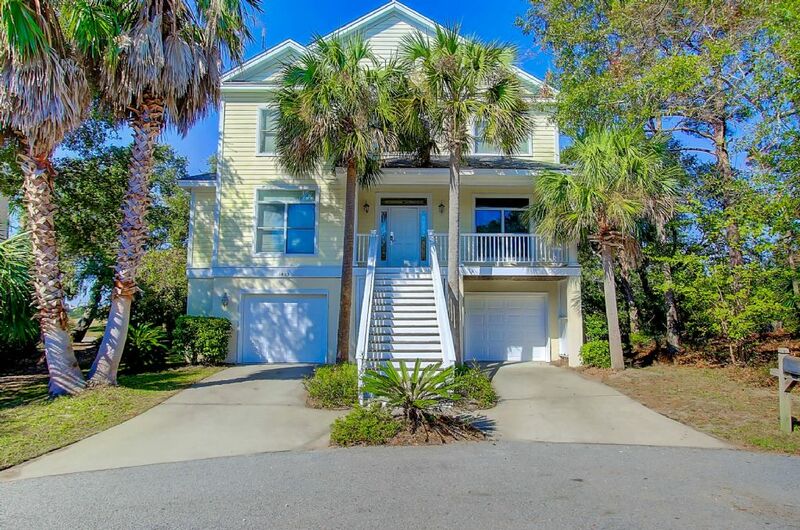 Beautifully decorated, this home is perfectly located on a quiet cul-de-sac near the Wild Dunes Swim Center pool (2 minute walk), tennis courts, and Harbor Golf Course. 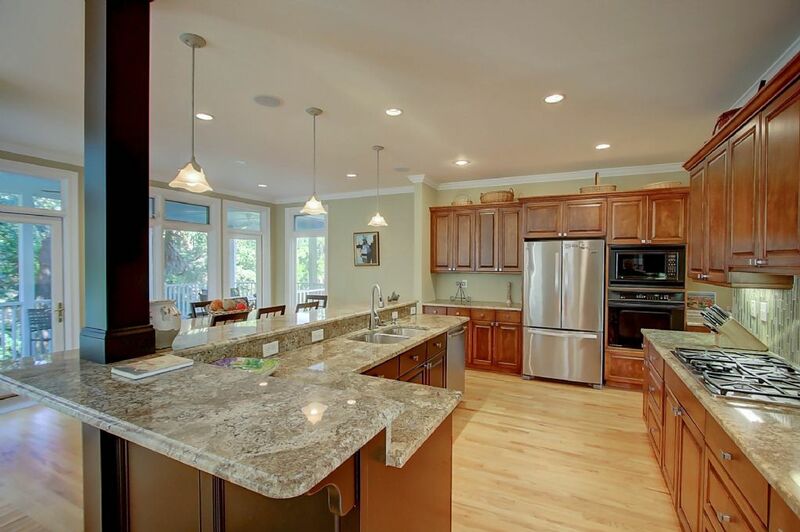 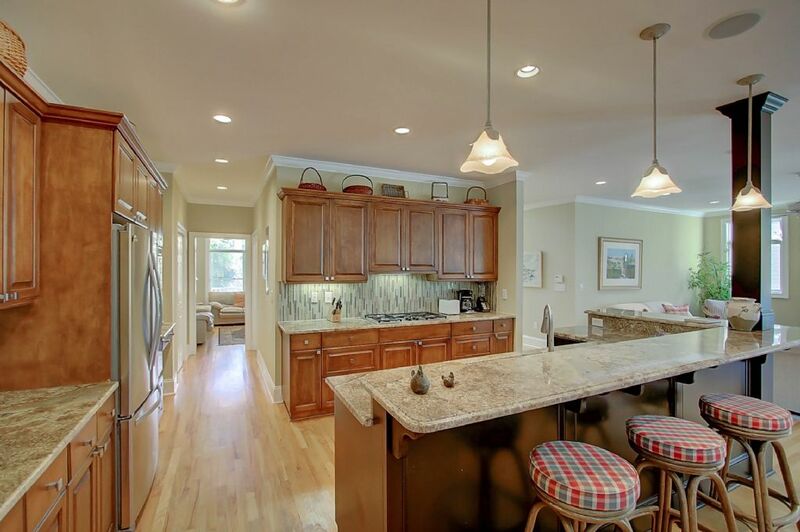 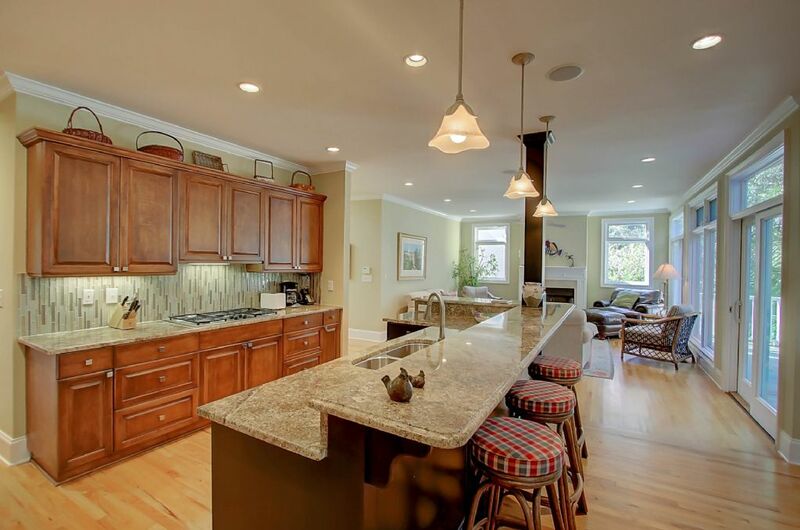 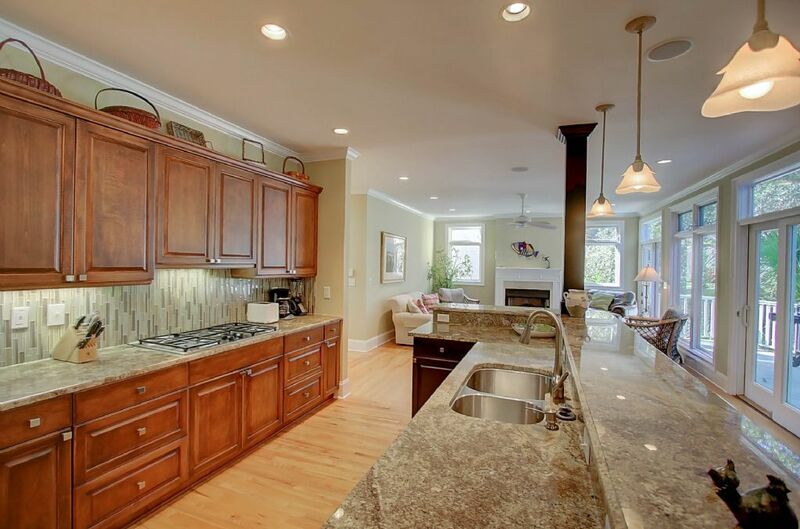 The floor plan includes a spacious kitchen with stainless steel appliances. 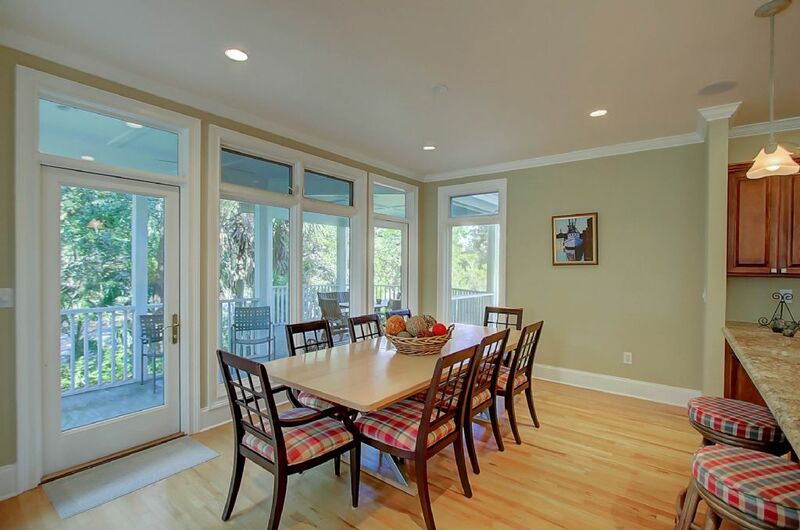 Perfect for families to gather before moving your meal to either dining tables inside or outside. 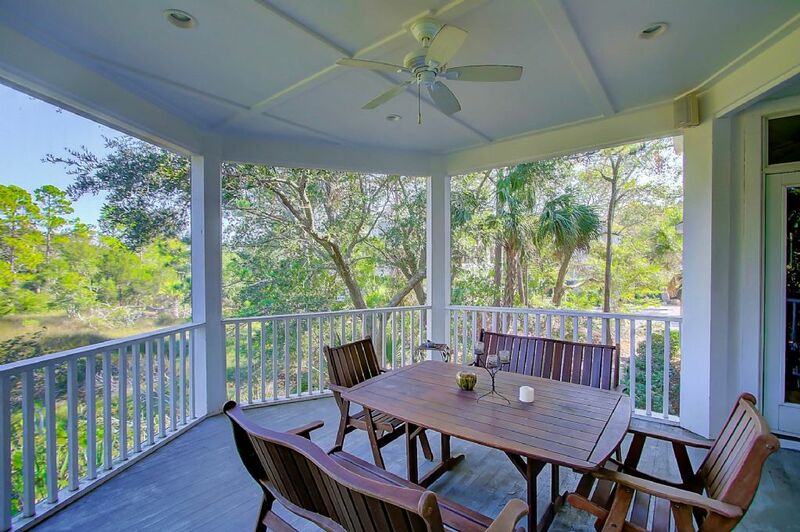 There is a screened in gazebo off the dining room perfect for enjoying the weather. 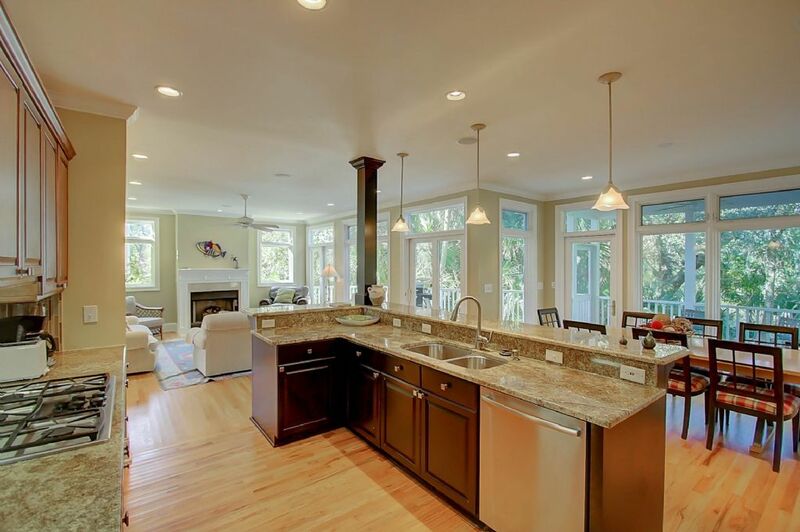 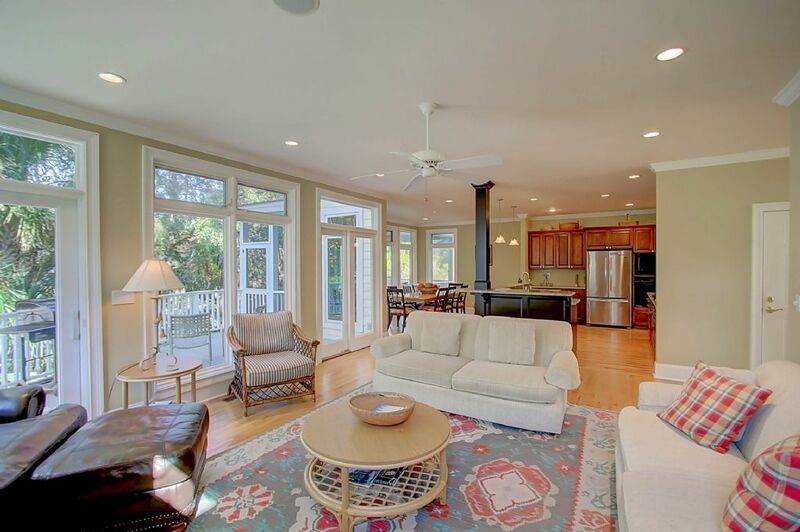 The open concept floor plan connects the dining room to the living area. 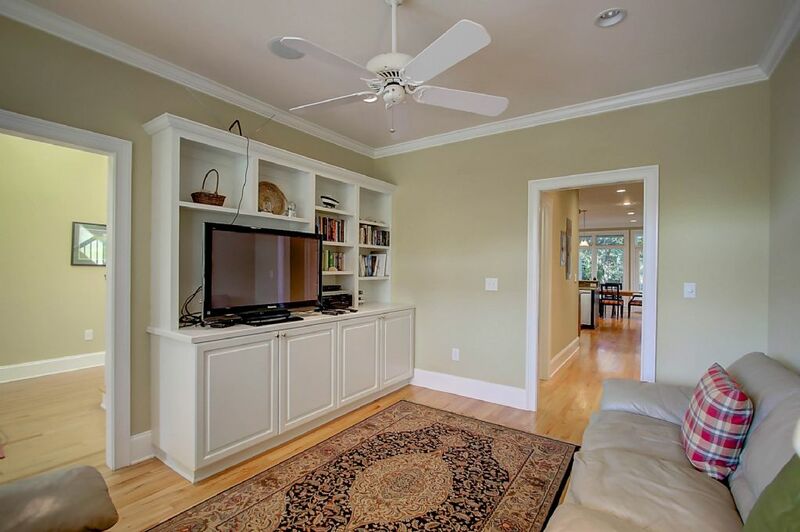 Along with the living room, there is an additional television room for your enjoyment. 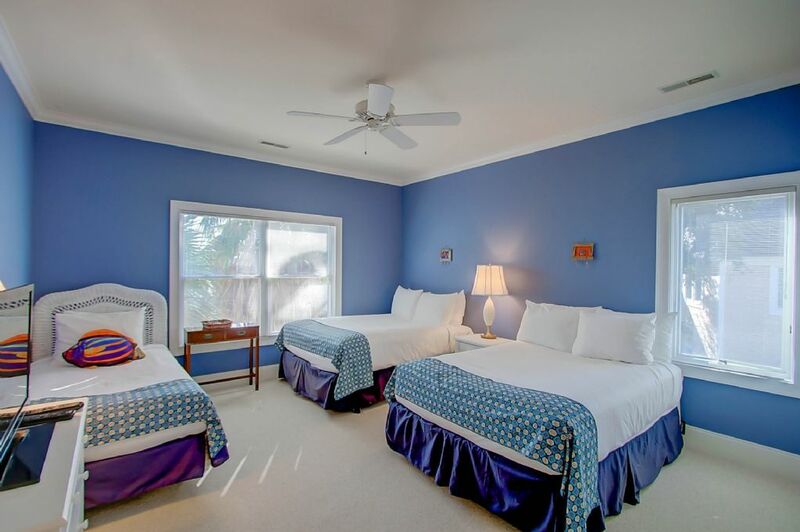 Sleeping quarters for up to eleven guests include a king bed, two queen beds, a twin bed and two full beds. 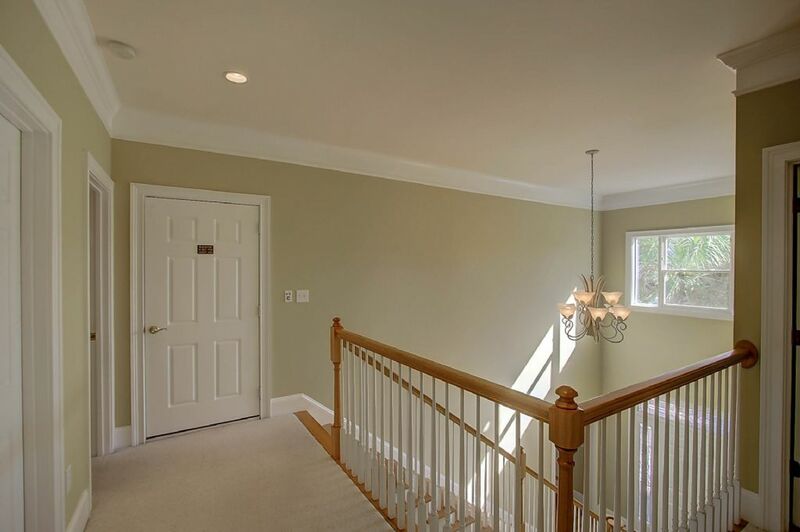 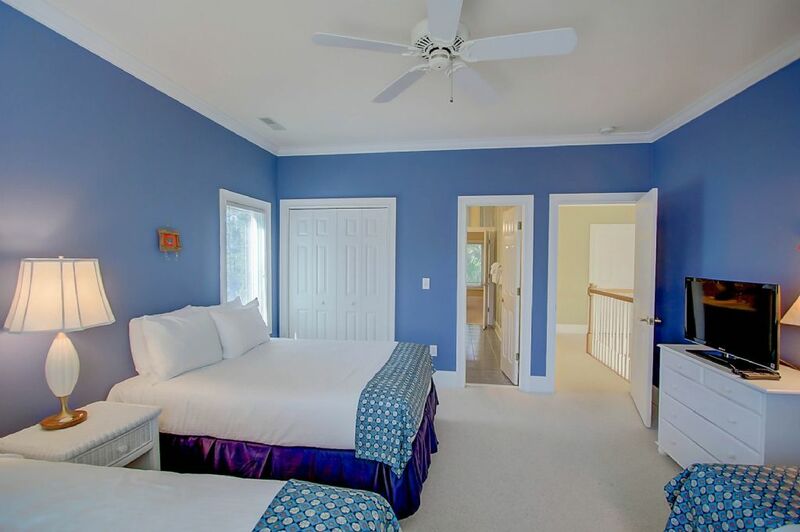 The first master bedroom is on the main floor and it includes a connecting on-suite with a stand up shower and separate entry to the hallway. 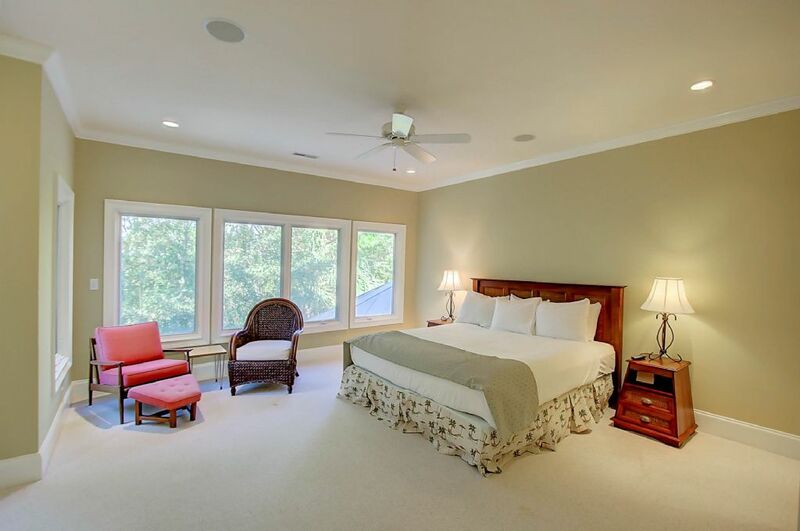 This room has a queen bed and hardwood floors. 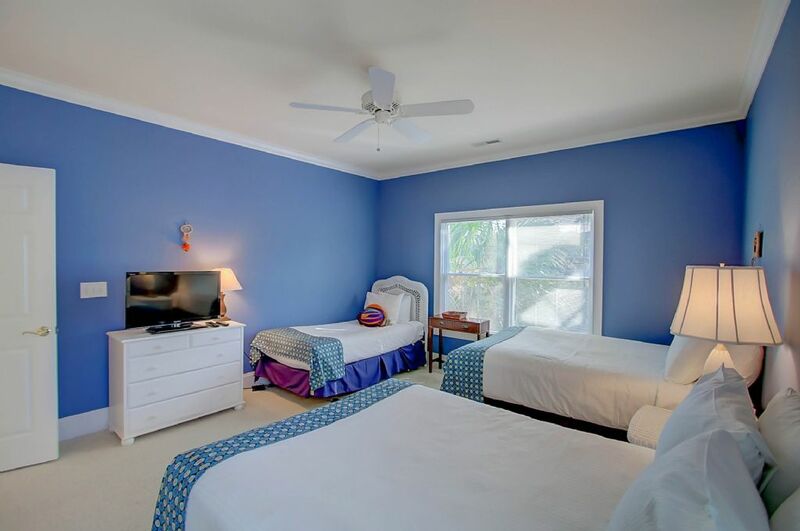 The second bedroom is located upstairs and provides two full beds and a twin bed, carpet flooring and flat screen TV. 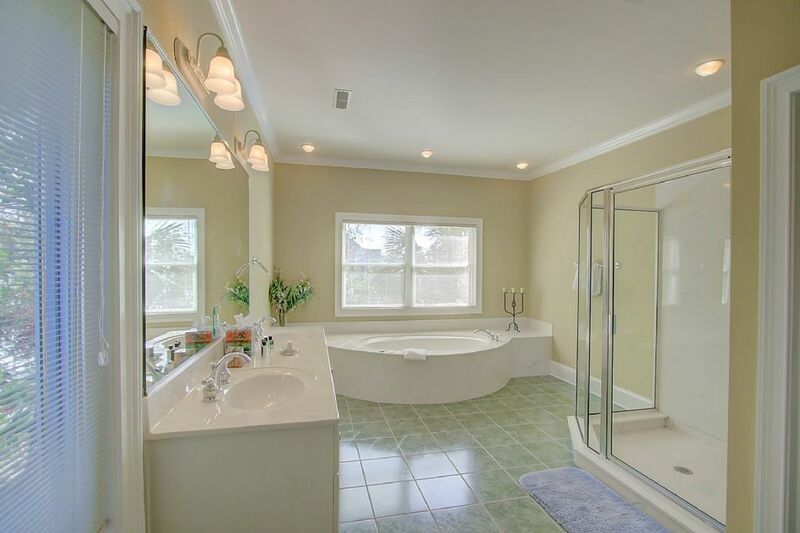 There is a Jack and Jill bathroom with a shower that connects to the third bedroom. 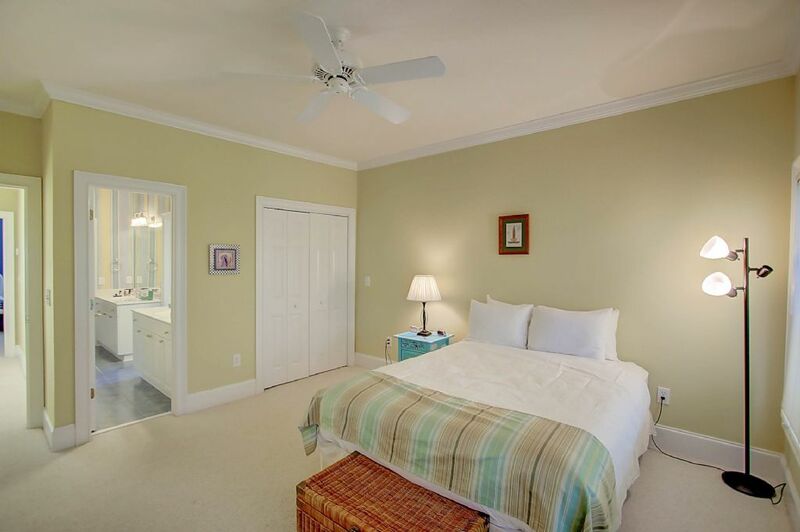 The third bedroom provides a queen bed and carpet flooring as well. 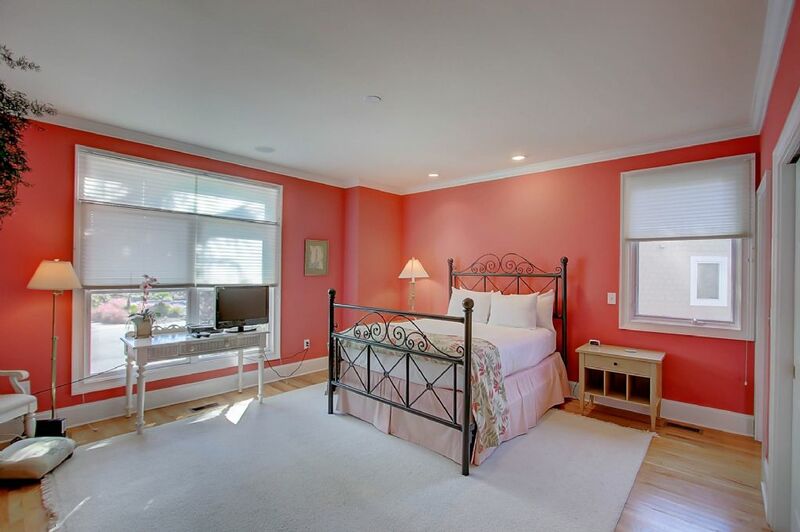 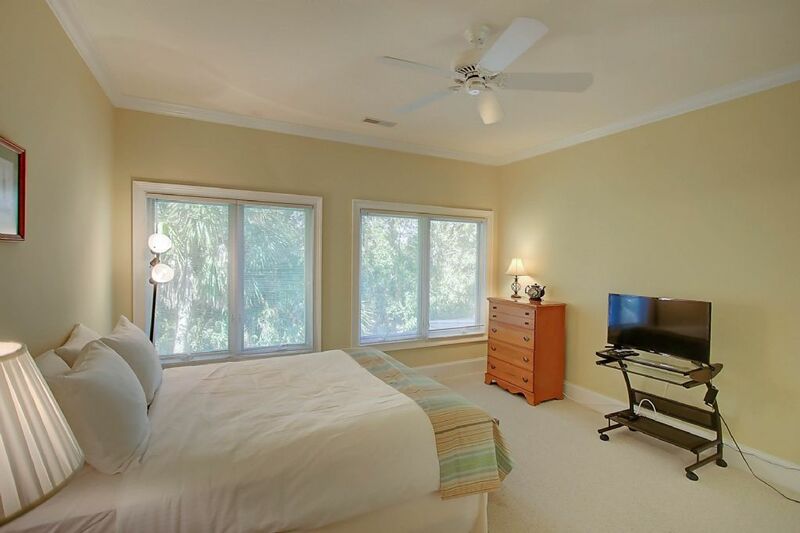 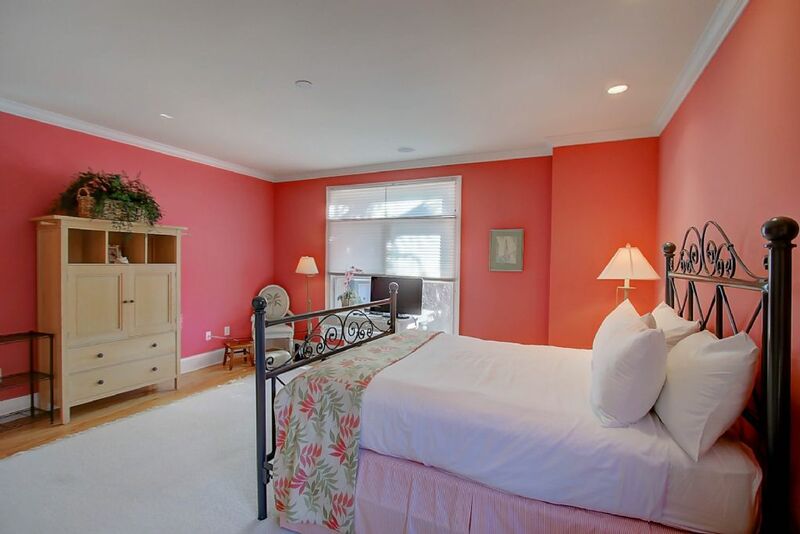 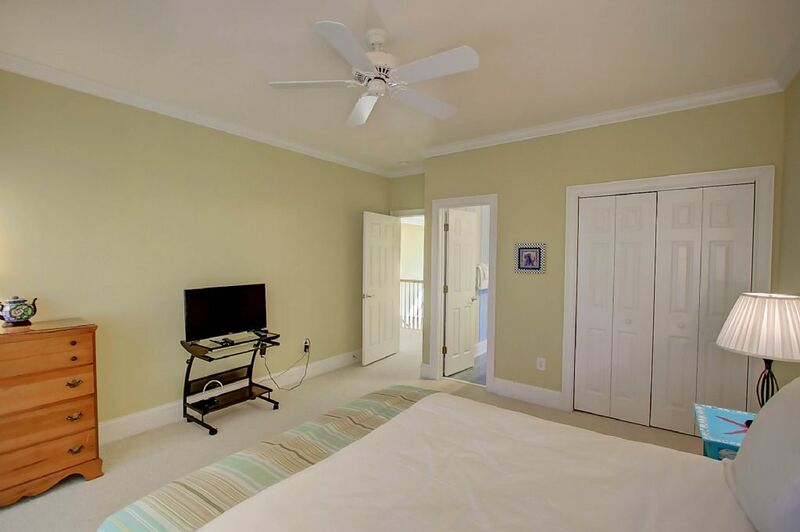 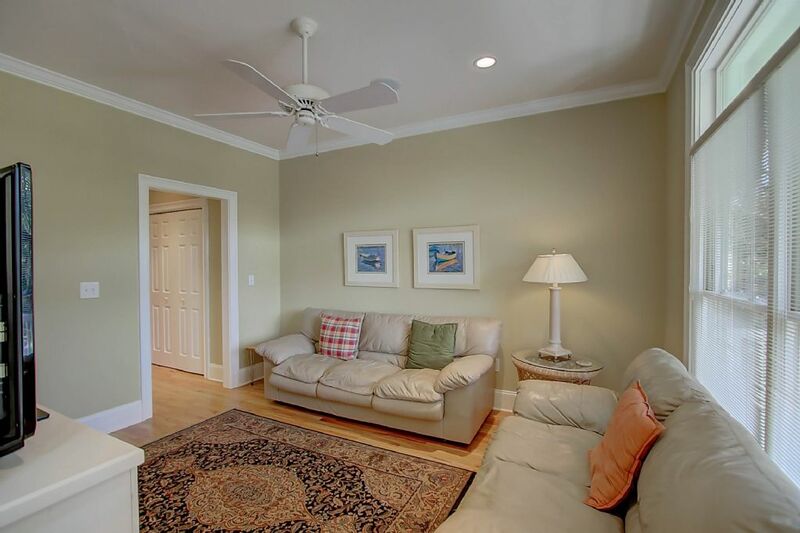 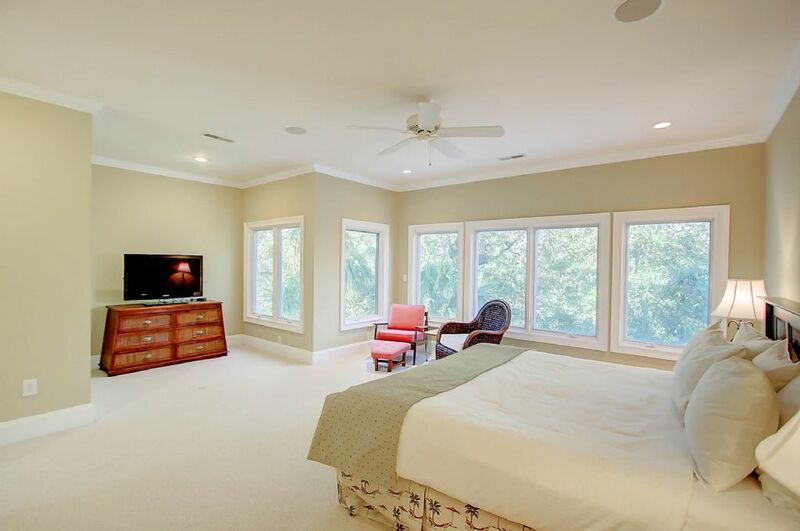 Lastly, the second floor master bedroom provides a king bed, ceiling fan and flat screen TV. 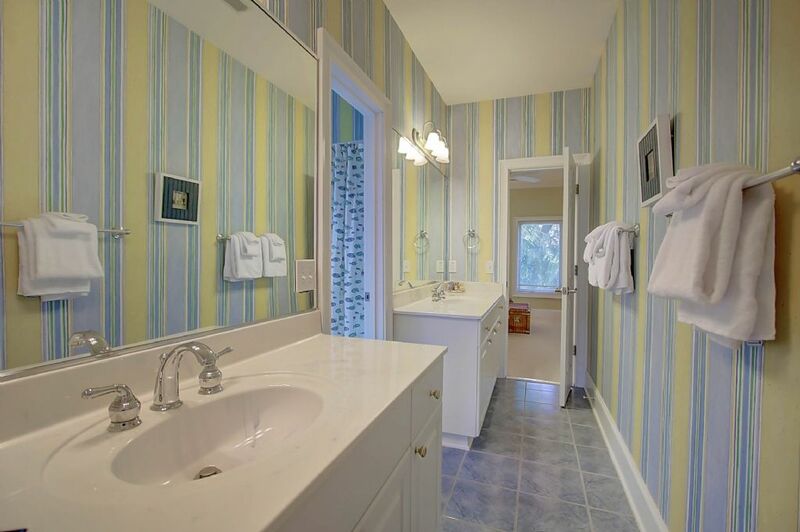 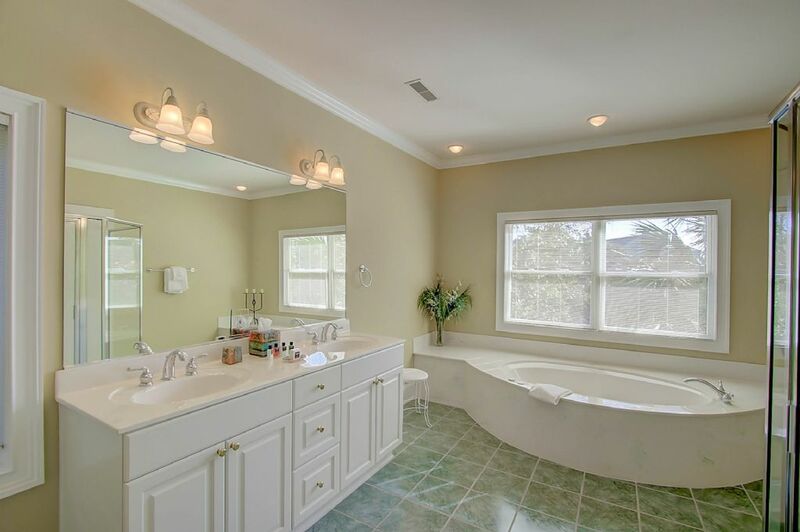 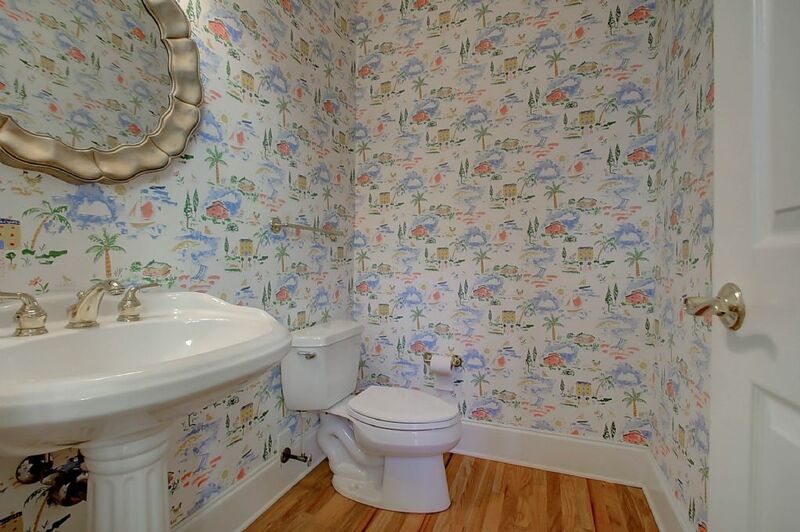 The second floor master bathroom offers a large vanity and tub, along with a stand-alone shower. 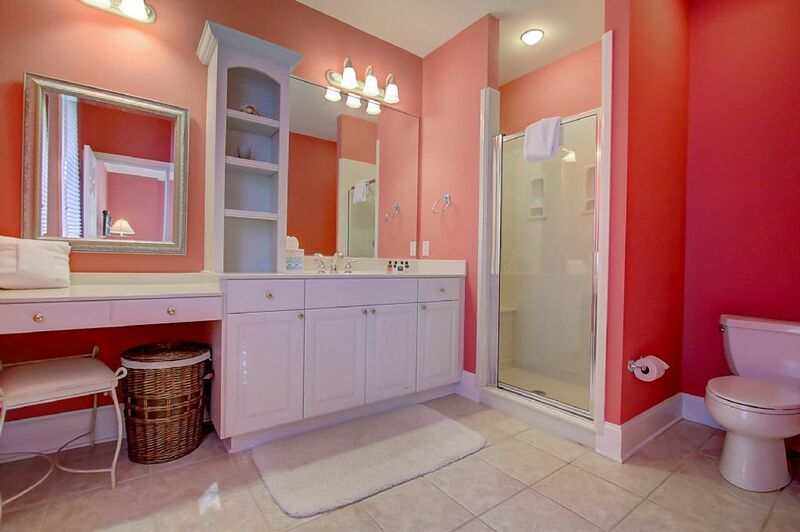 A washer and dryer are available for use in the home. 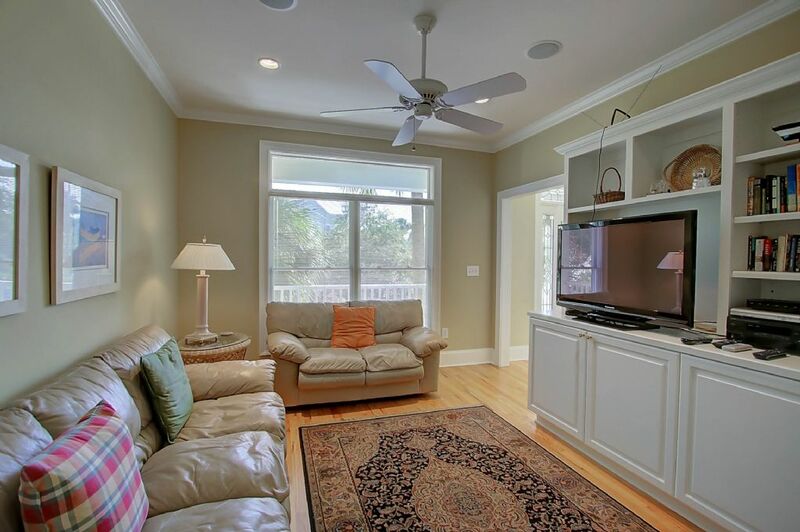 Entertainment features include internet, Wi-Fi, Flat Screen TV's in every bedroom Screened in gazebo and gas grill. 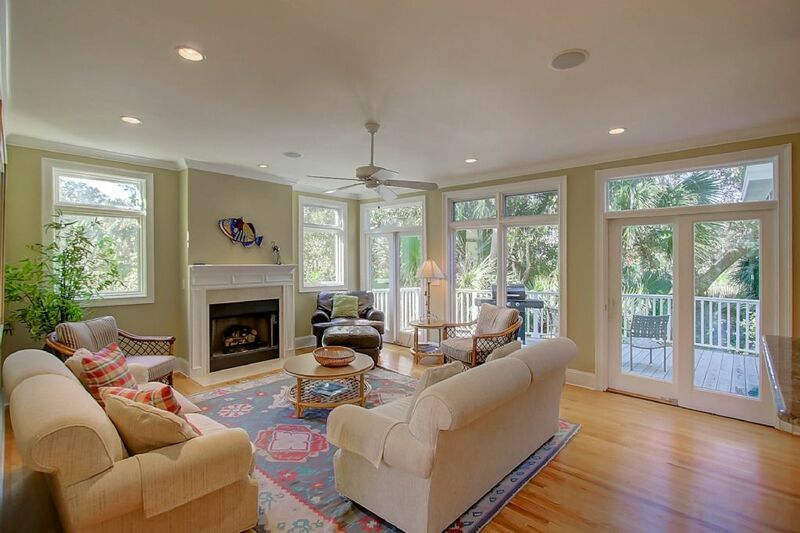 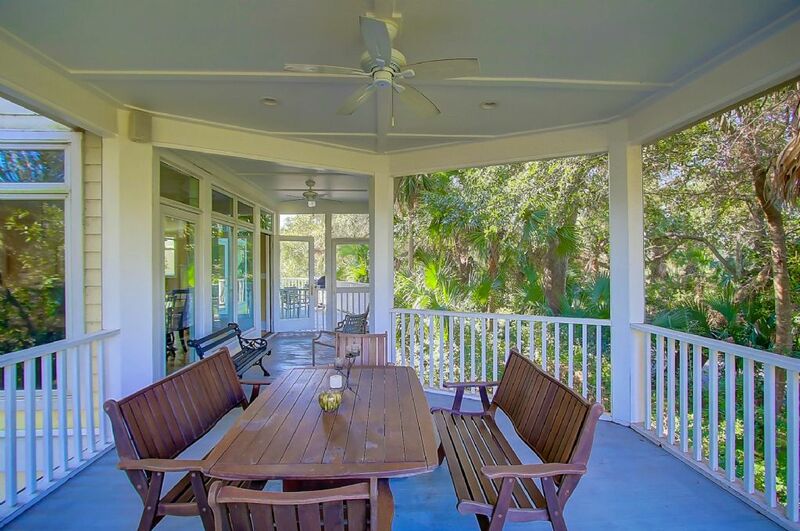 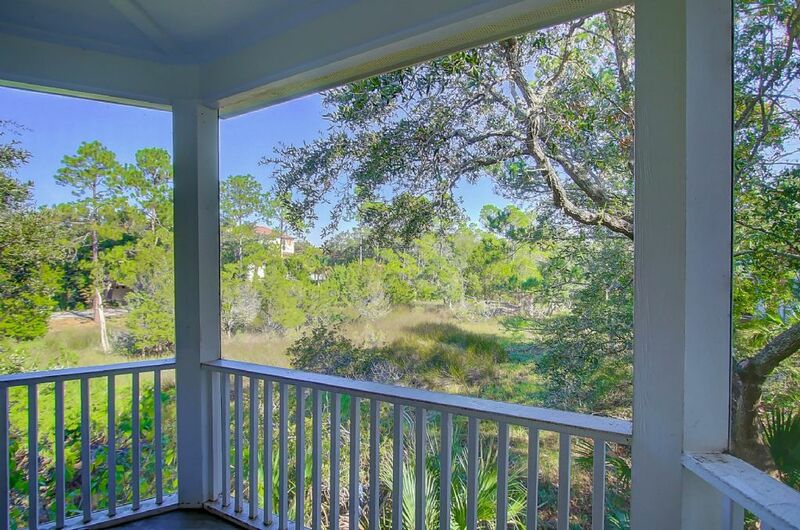 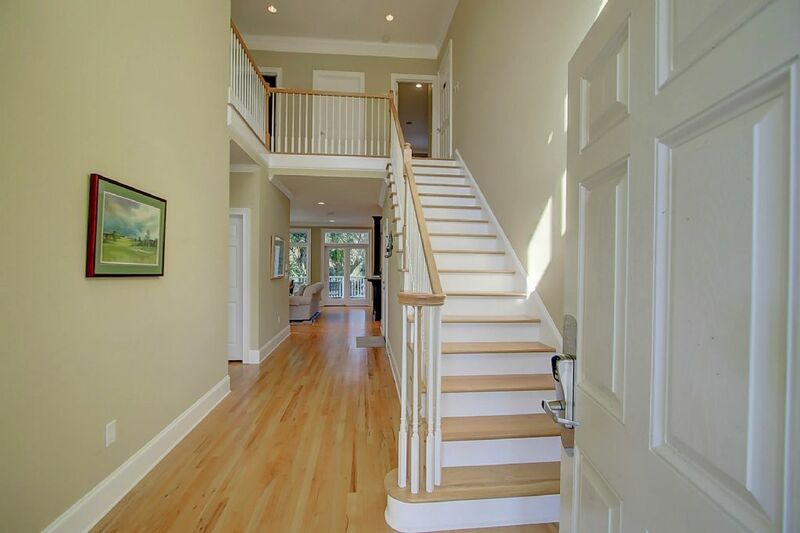 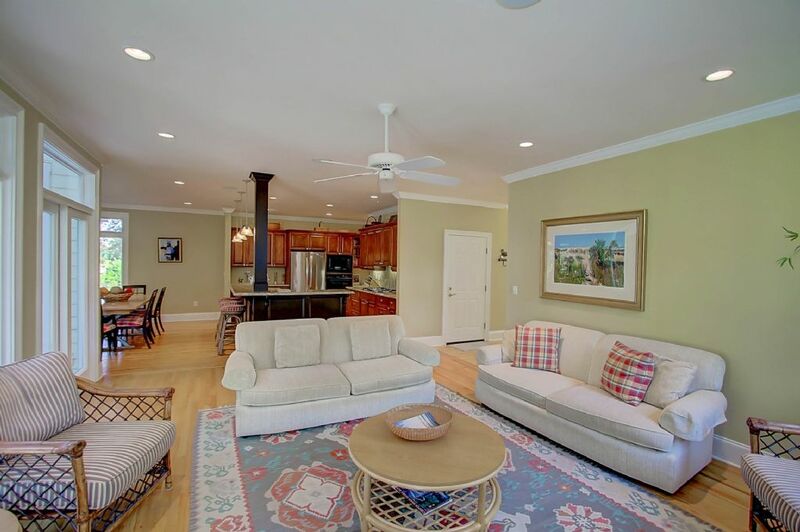 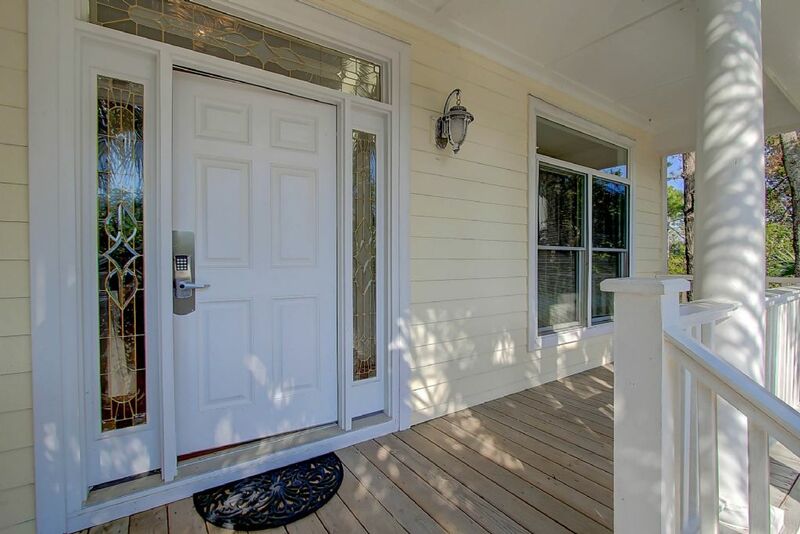 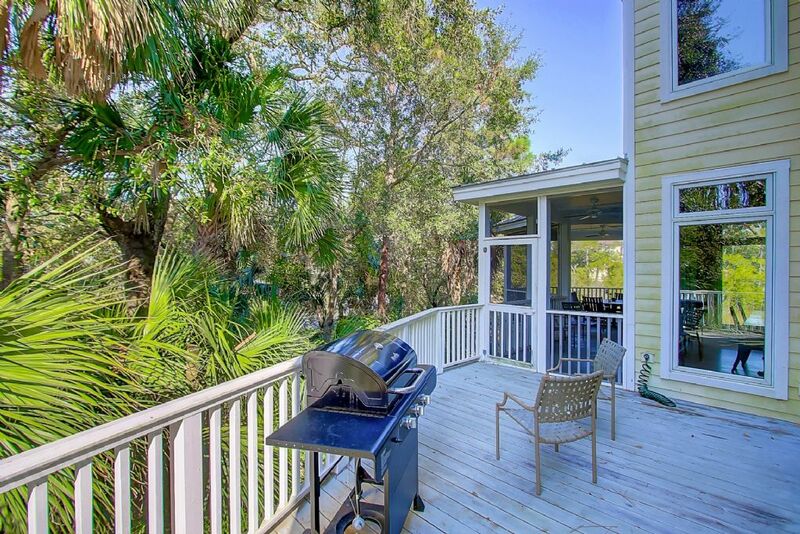 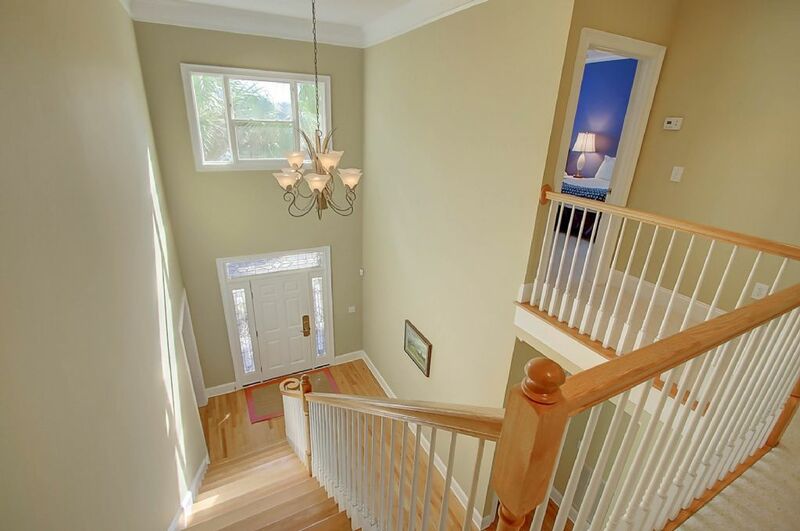 This deluxe home is conveniently located within a 10-minute walk to the beach, bicycle rentals, dining, shopping, the fitness center, and the boardwalk, or a short stroll to the marsh side of the island for breathtaking views of the marsh and wildlife in the early morning and sunset. 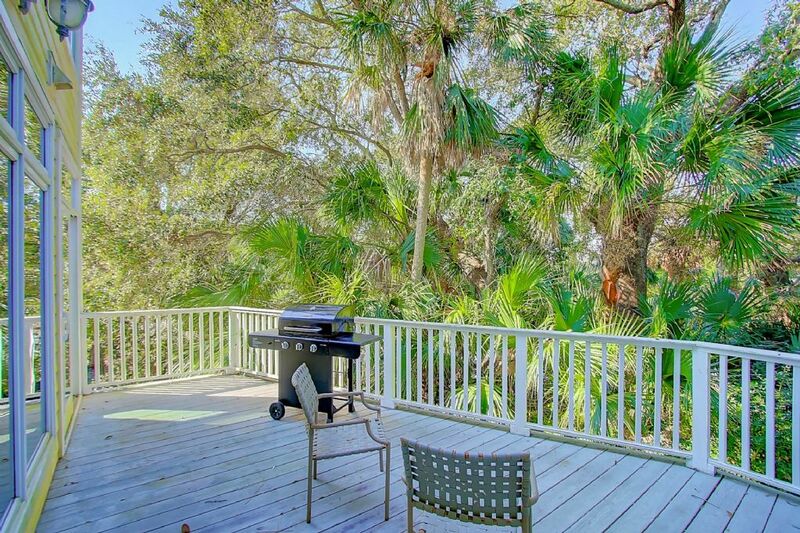 Closest Pool: Swim Center PoolBlocks to the Beach: Distance to the Grand Pavilion: 400 yardsDistance to the Harbor Course: 150 yardsDistance to the Links Course: 2400 yardsDistance to the Tennis Center: 150 yardsDistance to the Spa: 200 yardsDistance to the Sea Island Grill: 200 yardsDistance to the Village Plaza: 200 yards# of TVs: 5# of DVD Players: 1Seating/Dining Capacity: 11Flooring (Living Area): WoodFlooring (Kitchen): Wood (MUST BE AT LEAST 25 YEARS OF AGE TO RENT NO EXCEPTIONS).